"English rock stars don't die..."
"Are you as wild as Russell Brand?" On this side of the Pond we all know how wild former "Big Brother's Big Mouth" presenter and telephone prank caller extraordinaire, Russell Brand can be and that he is definitely a hard act to follow when it comes to wildness... so, I guess most of us will have to say "nope!". 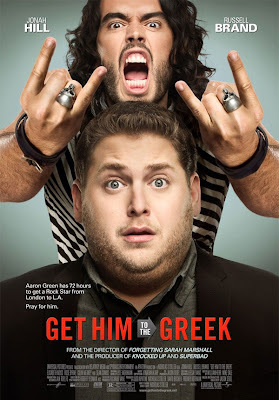 From what I've read in some of the reviews from the US regarding 'Get Him To The Greek', it looks like our "enfant terrible" has done us proud. Of course, Aldous Snow is the perfect part for Essex born (and practically, give or take quite a few miles, my next door neighbour) Russell Brand as, let's face it, he does look like a Rock Star in real life. It's like he was born to be a Rock Star... or, at least, to play one. It's a "two for the price of one" kind of post today as, not only we have the movie's UK trailer but... We also have the first five minutes of the movie! 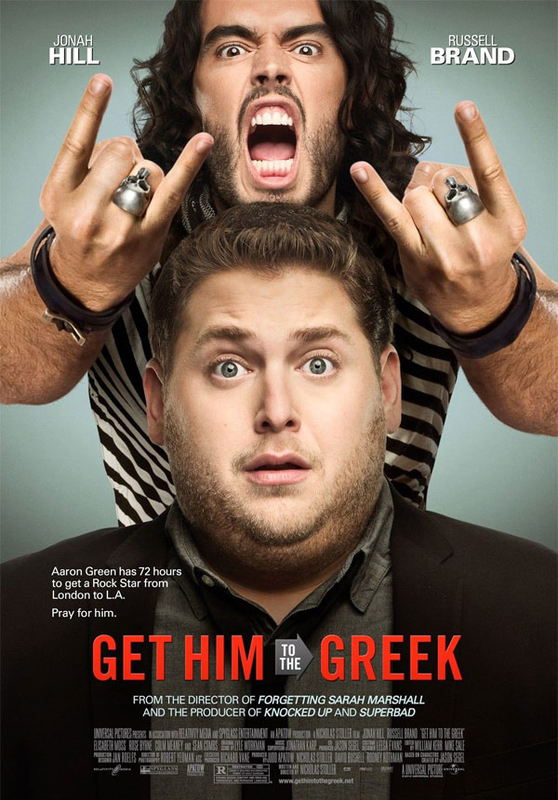 'Get Him To The Greek': The Reviews Are In!